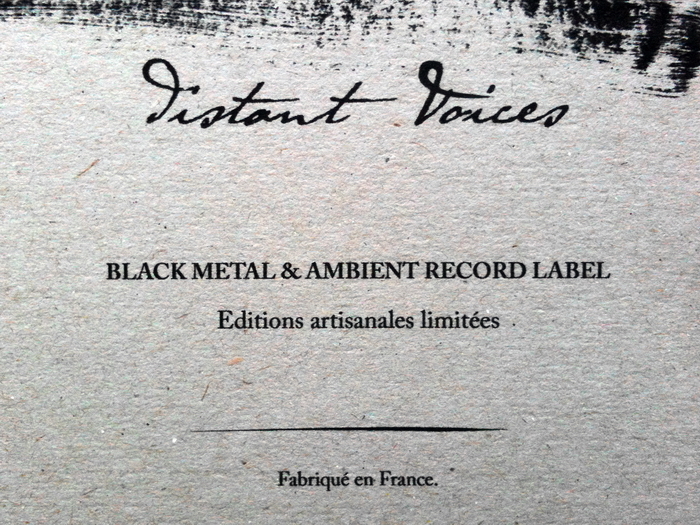 Distant Voices is a small record label founded in Summer 2012 in Southern France to release black metal, ambient and other obscur music in very limited handmade editions. Every release is made with fine and soft papers to create unique and beautiful objects. It also features special and artist editions in extra limited quantity including more works on papers and textures, fabric, handwritting, photographs, ... (samples here). 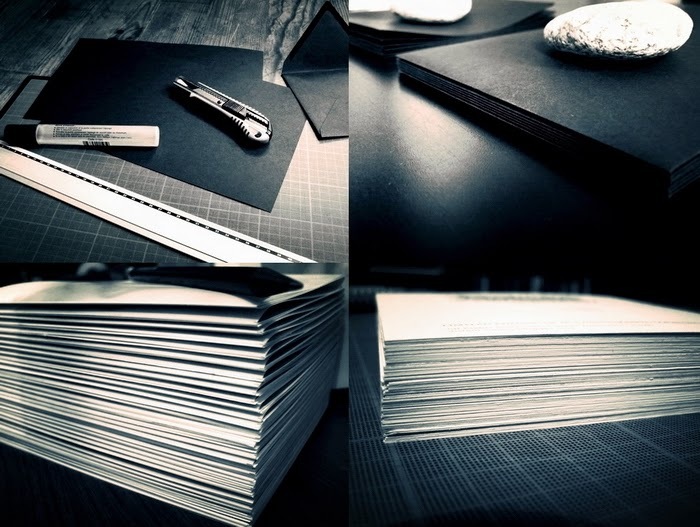 Each copy is handcrafted in our atelier. Made with love. Made with darkness. Distant Voices is independant and artisanal. We do our very best to use recycled papers only. May the night be your love. Read our manifest here or here. Thomas Bel - founder, owner, art director, photographer. Anna M. - photographer, graphic designer. - listen to our releases to be sure it fits the label aesthetic. - send previously unreleased material only. - please send .wav files ONLY. - we only release things we like, if we like what we hear we will contact you. Feel free to write to us. If interested, we will send you our catalogue. This website has not been optimized for a smartphone view. Photographs on this website are copyrighted Distant Voices unless noted otherwise. DO NOT USE WITHOUT PERMISSION AND/OR CREDIT.